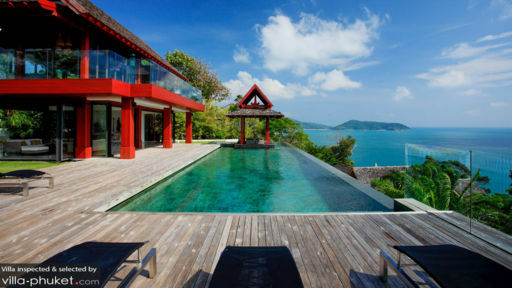 Located north of Patong, Kamala is a far cry from its bustling, rowdier neighbour. The beach, enveloped by dense forestry gives off a laidback feel and a quieter charm. While it isn’t as heavily populated as its surrounding beaches, Kamala still attracts a good crowd of beach-goers, most of whom are families and expats. Living large comes easy in Kamala. Your holiday home is an ultra-modern villa that offers ultimate privacy, impeccable service and a full range of incredible amenities - from an in-house cinema, to infinity pool and private spa room. 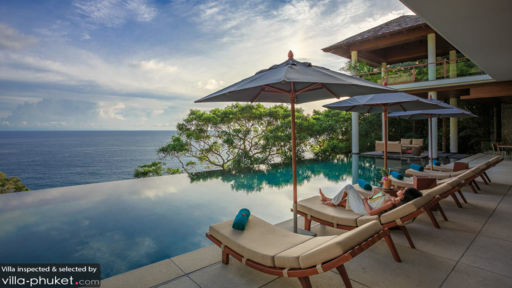 Most villa enjoy prime hilltop or hillside locations, with uninterrupted views out to the sea and tropical forestry. Sunbathing at Kamala Beach is a pleasant affair, with its soft shores and clear waters. The southern end of the beach gets busy during the high season, while the northern end retains its quiet charm all year round. The vibes here are relaxed and family-friendly, with numerous dining establishments and bars dotted along the coast. Rental shops for stand up paddling and surfing can be found along the coast, and diving can be arranged with operators like Merlin Divers. Stop by Kamala night market (it’s 10 minutes’ walk from the beach), a weekly event held every Friday for a taste of the lively ambience of a local outdoor market. Here you’ll find myriad stalls selling a wide assortment of knick knacks and street food items. 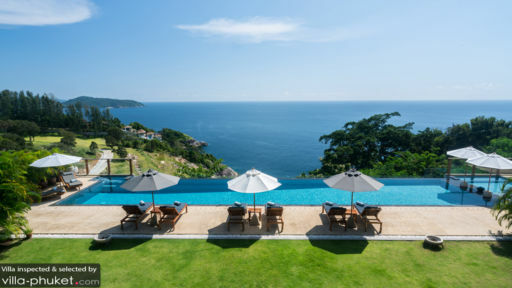 Villa travellers of all ages will enjoy a day out at Phuket Fantasea, a theme park that boasts a diversity of shopping, entertainment and dining options. Round out your evening with the nightly performance, which never fails to wow audiences with its acrobatic acts, dances and colourful stage setup. For ultimate relaxation, indulge in a spa ritual at the finely appointed Oasis Turquoise Cove Spa Phuket - or have your villa manager call in a massage therapist for an in-house spa treatment. Dining options are plentiful in Kamala. Chic and stylish HQ Beach Lounge makes a great all-day hangout, and Vanilla Sky Bar and Lounge is out to-go option for cocktails. Silk Restaurant and Bar offers an elegant setting, Plum Prime Steakhouse boasts a great ambience and sunset view, Ambassador’s Bistro features a wide-ranging menu and Old Siam Authentic Thai Restaurant is a great bet when you feel like having Thai. Your villa manager will readily assist with travel and transportation arrangements, so there’s nothing stopping you from hopping out in snap for a drive to the best attractions on the island. Families will enjoy attractions like Wat Chalong, Big Buddha and Khao Rang Viewpoint. Phuket Old Town, with its charming streets, Sino-colonial mansions and quirky shops. For a night of partying, head to the hotspots of Patong Beach. It’s about 20 minutes’ drive from your villa.